Russia also has its own unique modern models of tanks. 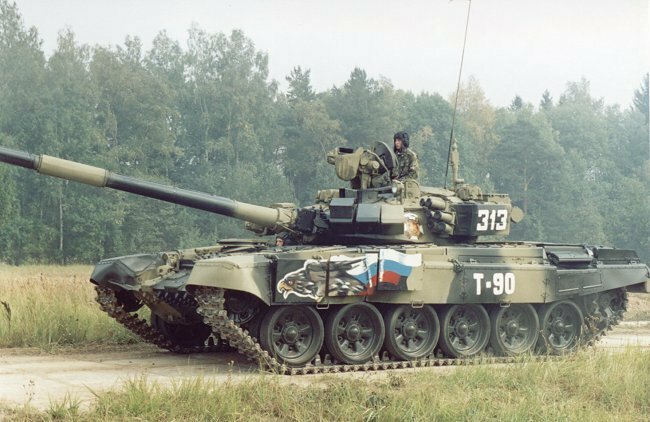 T-90 — the most modern Russian battle tank. The main weapon of 125 mm smoothbore gun, auxiliary — 7.62 mm coaxial machine gun and 12.7 mm anti-aircraft gun. The most remarkable thing, that you get all this with a weight of 46.5 tonnes and about 31 meters in length. 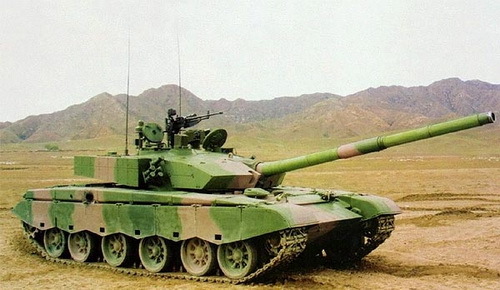 China’s contribution to the heavy armor of modern tanks, perhaps, it is Type 99. The model is the high cost, resulting in more economical loses its competitors. Machine weight 54 tons. The main weapon of 125 mm smoothbore gun, average — 7.62 mm coaxial machine gun and 12.7 mm anti-aircraft machine gun. Those who want to buy myself a «child» will have to shell out about US $ 2500000.